What is the biggest economic problem that the United States is facing? Very simply, our biggest problem is that we have way too much debt. Over the past 30 years, household debt, corporate debt and government debt have all grown much faster than our GDP has. But no nation on earth has ever been able to expand debt much faster than national output indefinitely. 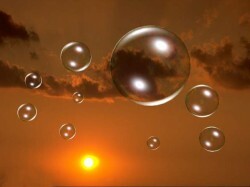 All debt bubbles eventually burst. 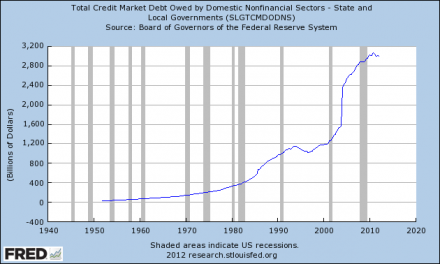 Right now, we are living in the greatest debt bubble in the history of the world. All of this debt has fueled a "false prosperity" which has enabled many Americans to live like kings and queens. 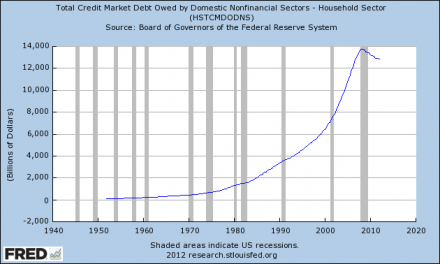 But no nation (or household) can pile on more debt forever. At some point the weight of the debt becomes just too great. 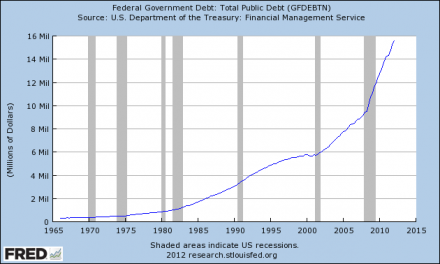 It is amazing that the United States has been able to pile up as much debt as it has. Over the years, many authors have predicted that U.S. government finances would collapse long before the U.S. national debt ever got to this level. 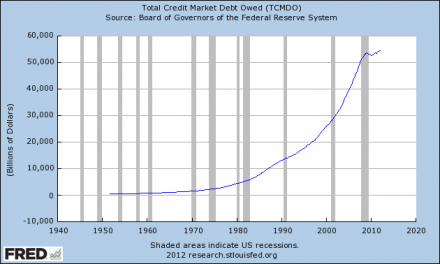 So the mountain of debt that we have accumulated is quite an "achievement" if you want to look at it that way. But the clock is ticking on this debt bubble and when it collapses we will say "bye bye" to our vastly inflated standard of living and we will discover that we have destroyed the economy for all future generations of Americans. Sometimes a picture is worth a thousand words. When most Americans think of the "debt problem" in this country, they think of the debt of the federal government. In the United States today, we don't just have one "government debt problem" - the truth is that we have hundreds of them. All over the country, state and local governments are facing bankruptcy because of too much debt. On Monday, a state-required mediation with creditors to find a fiscal solution is scheduled to expire. Stockton's City Council is then slated to meet Tuesday to decide whether to adopt a budget for operating in bankruptcy, a move widely considered the last step before the city formally submits a Chapter 9 petition to federal bankruptcy court. We are on the road to national financial oblivion, and most Americans don't seem to care. As you can see from the chart, there was a little "hiccup" during the last recession, but now the debt bubble is growing again. Most Americans still believe that we are experiencing "temporary" economic problems that will eventually go away. Most Americans still believe that even greater prosperity is still ahead.